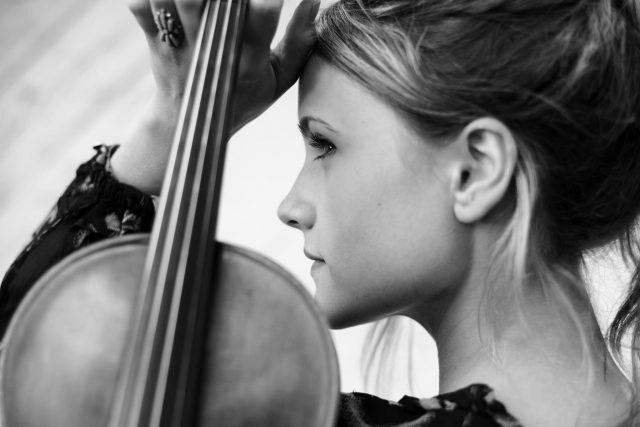 Kathryn Skudera Haddad is a classically trained violinist. Her love of music began at the age of three when she enrolled in Whitinsville Christian Schools Suzuki strings program in 1990. Since then Kathryn has studied the violin at the University of New Hampshire where she served as concertmistress of the UNH Symphony Orchestra from 2008-2010. Kathryn is currently booking weddings, restaurant gigs, and other private events for 2018-2019. Her setlists usually consist of a mix of Classical music and acoustic rock covers. Some of her favorite artists to cover are The Beatles, Coldplay, Frank Sinatra, Dave Matthews, Led Zeppelin, and more. Kathryn also enjoys playing with her cover band Belit, and plays fiddle for Grammy Nominated artist Ashley Jordan. Kathryn occasionally performs with the Claflin Hill Symphony Orchestra and currently teaches violin and viola at Apple Tree Arts in Grafton, MA.